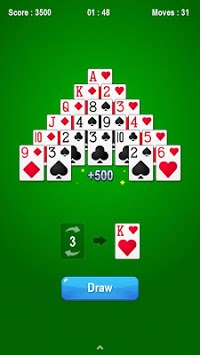 Play the Best Pyramid Solitaire card game for Free! Pyramid Solitaire is funny, addictive and challenging brain games. Gameplay is very simple to start but hard to master. Our game is the most easy-to-play with clean and intuitive designs. 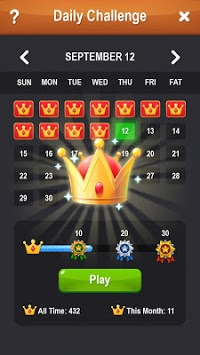 Meanwhile, we have added many beautiful themes and Daily challenges for you. Pair cards that equal to 13. Jacks = 11, Queens = 12, and Kings = 13. Once you remove all cards from the pyramid you win. Simple and addicting! 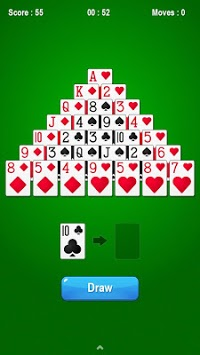 Pyramid Solitaire is a FREE Solitaire card game for Patience, Spider and FreeCell players. Have fun playing Pyramid Solitaire!